Gift Cards does not expire. Available in the following increments: €50, €75, €100, €125, €150, €200. Please note that this item is not eligible for return. Promotions cannot be applied to this product. You do not know what to give? Give a Tieapart Gift Card! Choose the value of your gift and proceed with the purchase, as if it were a normal product for sale on Tieapart. You will receive an email with the card and the coupon code to send to whoever you want, by email or printed. 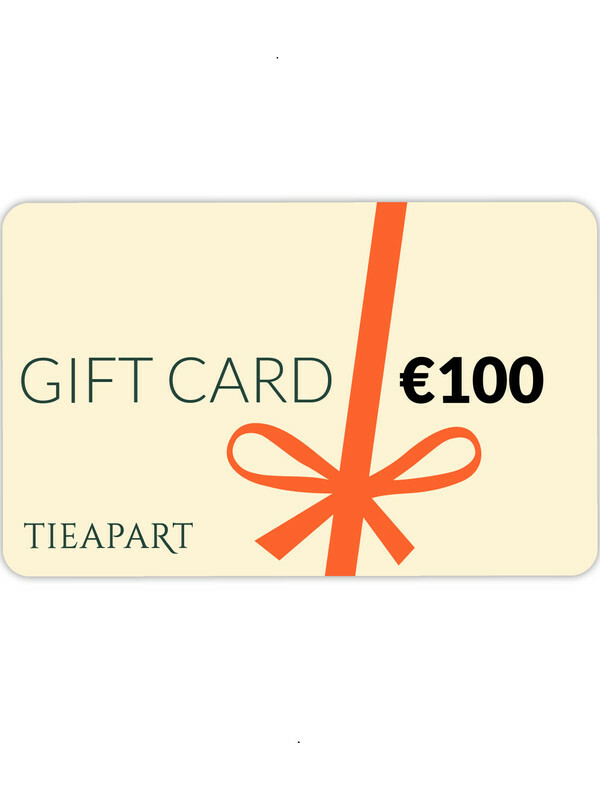 The gift card of Tieapart is a practical alternative for your gifts, if you are unsure of the size of a loved one or his favorte looks, the gift card can afford to give a present without any risk of disappointing preferences and expectations. To purchase a gift card just proceed with the purchase as well as you would do for a normal product. After completing your order, you will receive your gift card by e-mail. So you will be able to send it to your beloved or to print it and take it personally to them.